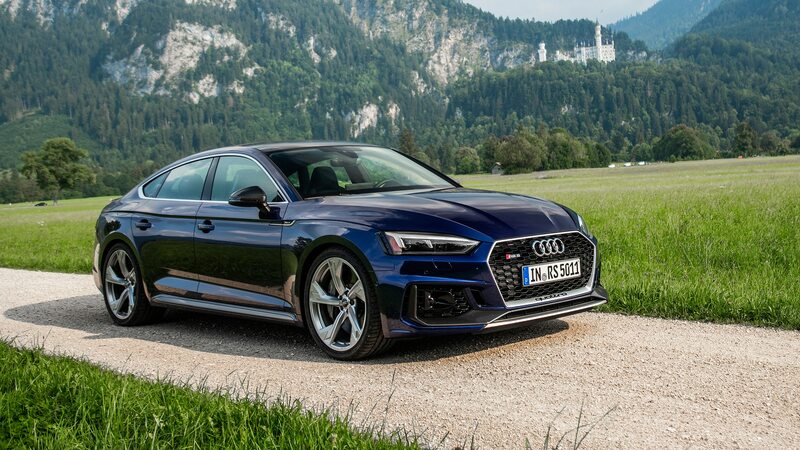 MUNICH, Germany — I’m punching an Audi RS 5 Sportback-shaped hole through the damp Bavarian atmosphere at 257 feet per second, devouring the last few stretches of unrestricted autobahn before a wayward Golf forces me to slam the brakes. Until that head-bobbing moment of extreme deceleration, the entirety of my attention has been focused on everything forward of the tightly gripped steering wheel—the business end of the spear. It’s not till later that I remember I happen to be hauling five decent-sized pieces of luggage during the high-speed proceedings—not bad for indicated speeds above 170 mph. We live in a wondrous time for ludicrously powerful luxury cars, or so the oft-repeated cliché goes. 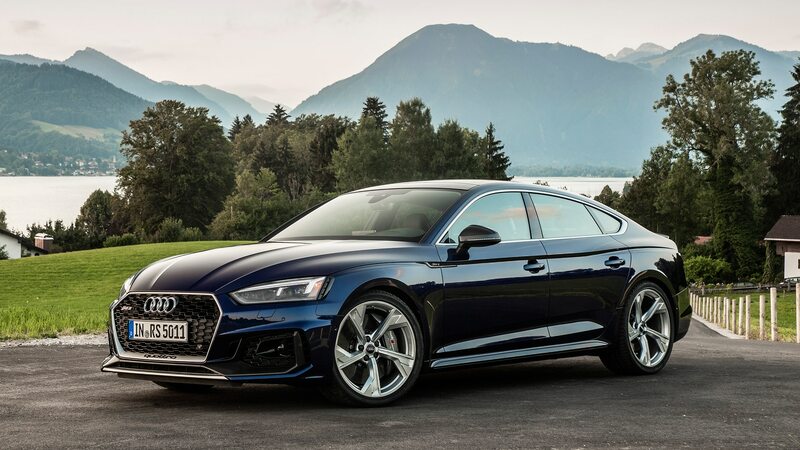 But in this age of headline-grabbing six-figure stunners like the 680-hp Porsche Panamera Turbo S E-Hybrid and 603-hp Mercedes-AMG S63, the Audi RS 5 Sportback reps a sort of working man’s super sedan vibe, for $75,195 to start. We’re talking blown-out hot hatch for the premium set, not sky’s-the-limit, cargo-hauling hypercar. 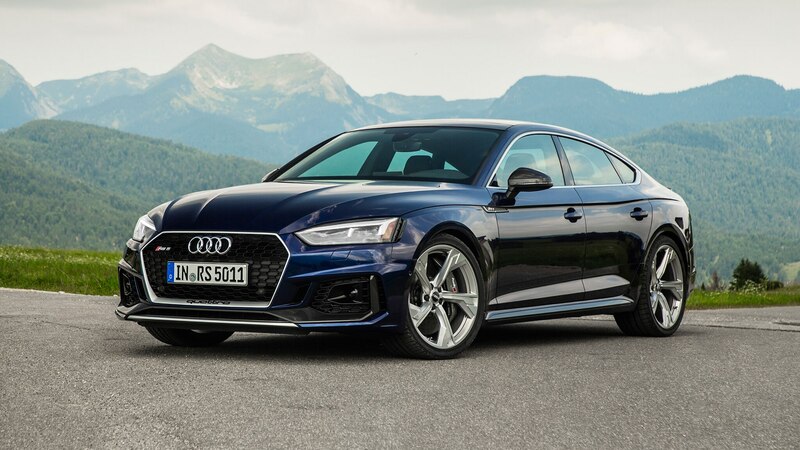 The formula here is simple: stretch the RS 5 coupe’s wheelbase by 2.3 inches, add a pair of doors, and extend the rake of the roofline to transform it into a hatchback sedan. The resulting package adds just enough functionality to help justify this 444 -hp brute to your skeptical significant other. 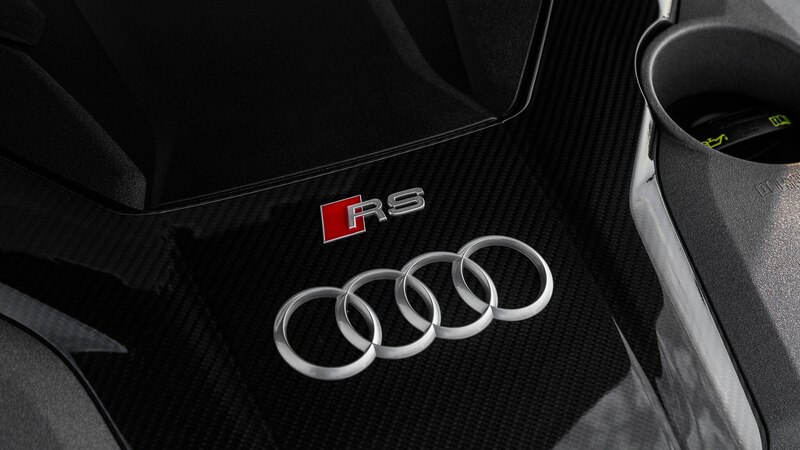 Everything forward of the windshield is identical to the RS 5 (hence the autobahn sauciness), but rear headroom grows 0.9-inches and legroom expands 2.4-inches to convert the back seats from cramped quarters to perfectly livable perches. Also more usable is the trunk, which doubles the coupe’s cargo capacity and when the rear seats are folded down more than triples the space to 35 cubic feet—enough to gobble five golf bags or four full-size suitcases. The performance penalty for that added practicality is 88 pounds due to the hatchback hardware and structural reinforcements, adding a tenth of a second to the 60 mph sprint, which now requires 3.8 seconds. 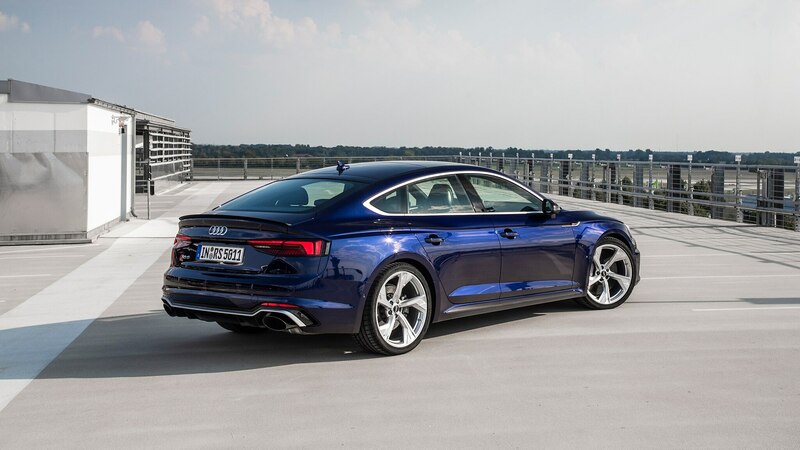 Unexpected benefit: the weight gain is rearward, with the hatchback’s hard bits slightly improving upon the coupe’s 57.2/42.8 weight distribution (56.5/43.5 for the Sportback). 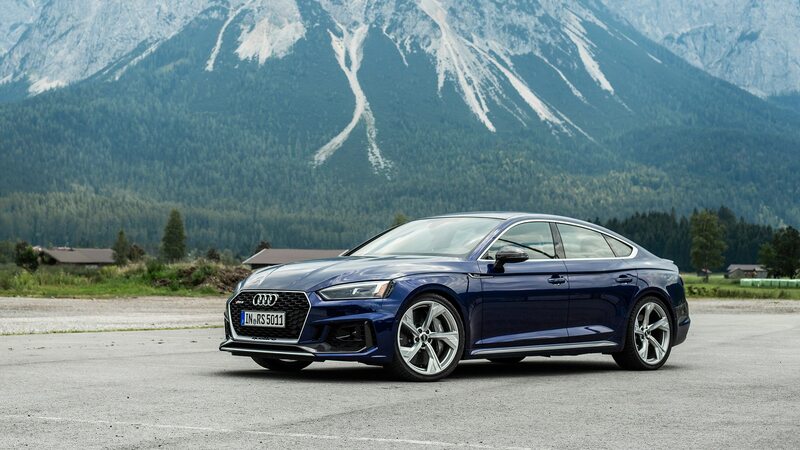 Though cleverly laid out, the Sportback isn’t without its dynamic dimensional shortcomings, among them the nose-heavy balance and a curb weight of 4,057 lb. For reference, a BMW M3 weighs 3,630 when equipped with an automatic gearbox, and a Mercedes-AMG C63 tips the scales at 3,829 lb. 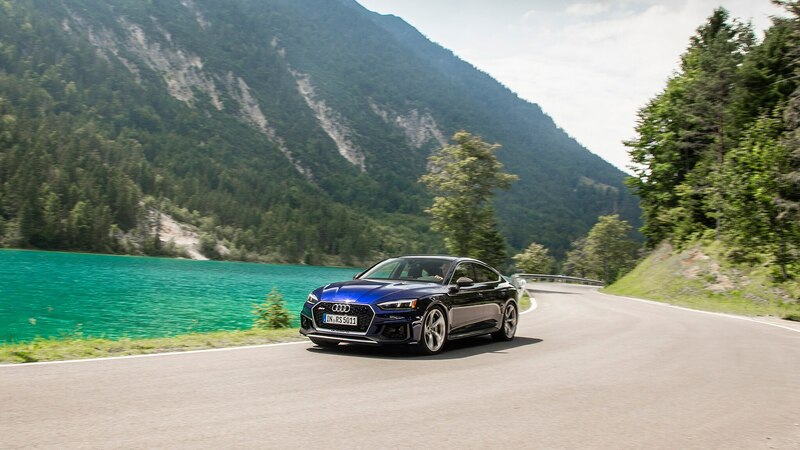 Despite the heft, the Audi’s portliness proves well concealed on Bavaria’s winding mountain passes, where it devours medium and high-speed corners with expedience. 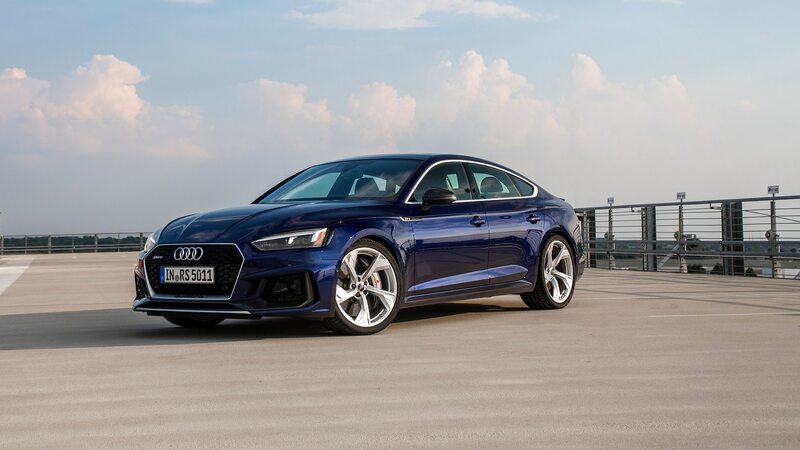 As with the RS 5 coupe, the Sportback’s behavior is managed via a mode selector that switches between Comfort, Automatic, Dynamic, and Individual. 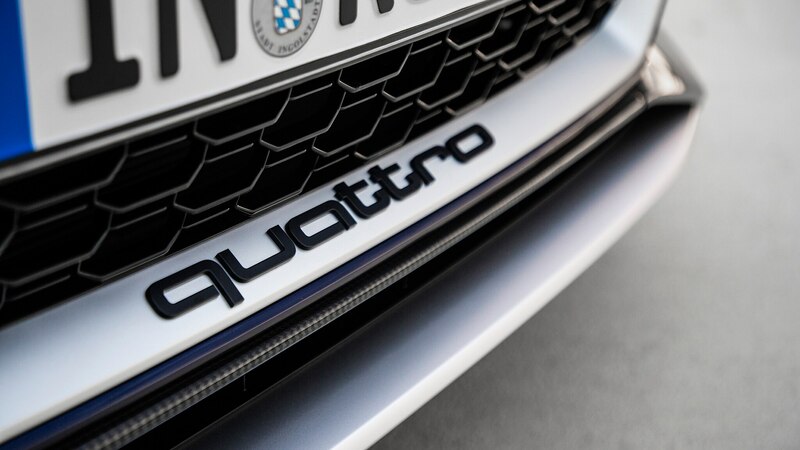 Don’t let the ‘Automatic’ nomenclature fool you: with the optional Dynamic Ride Control package, the Automatic setting selects a fixed middle ground between Comfort and Dynamic. 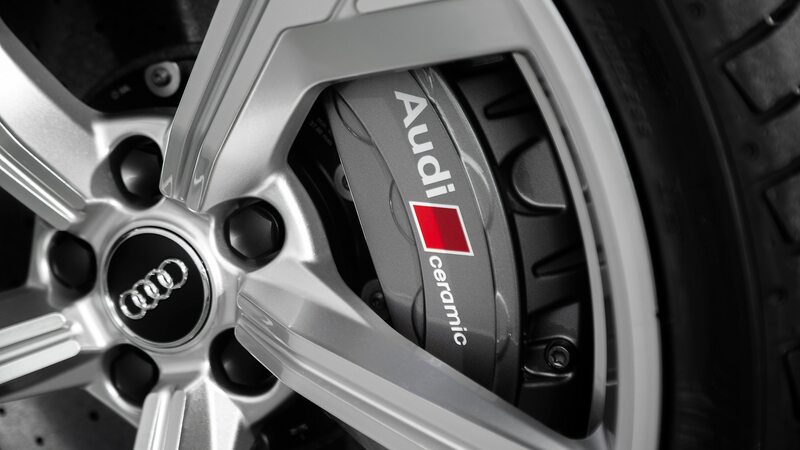 When equipped with the Dynamic Package (which is bundled with Dynamic Ride Control, red calipers, and a sport exhaust), steering ratios are variable. As with the suspension setting, Dynamic mode (thankfully) keeps the steering at a constant ratio. 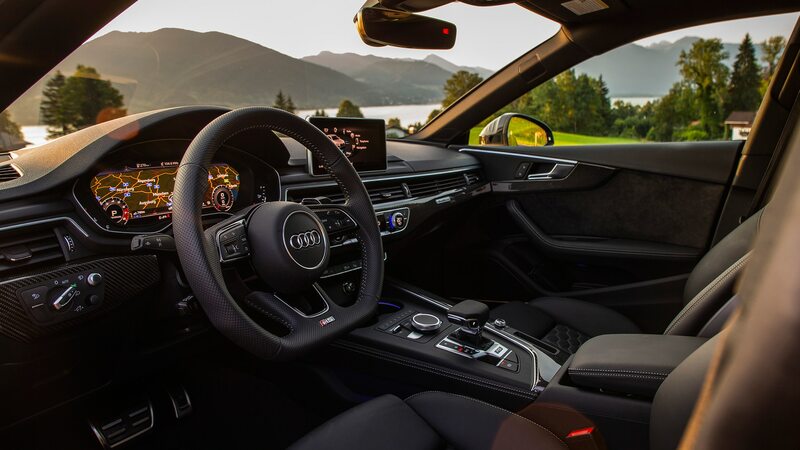 Switching between settings triggers a palpable change in behavior; comfort smoothens out the bumps and chills out the drivetrain and steering, while dynamic creates considerably more bounce while upping the artificially augmented exhaust note. Here, the decibels are upped by a diaphragm that vibrates the windshield, transmitting low frequency sounds through the cabin and ups the ante incrementally with each mode setting. In Dynamic the sound is rather prominent, creating a low frequency resonance that can get a bit boomy at around 2,000 rpm. In its loudest setting, the vroom-vroom novelty gets old fast—I lasted about 30 minutes before switching to Individual mode to tone down the artificial sounds. 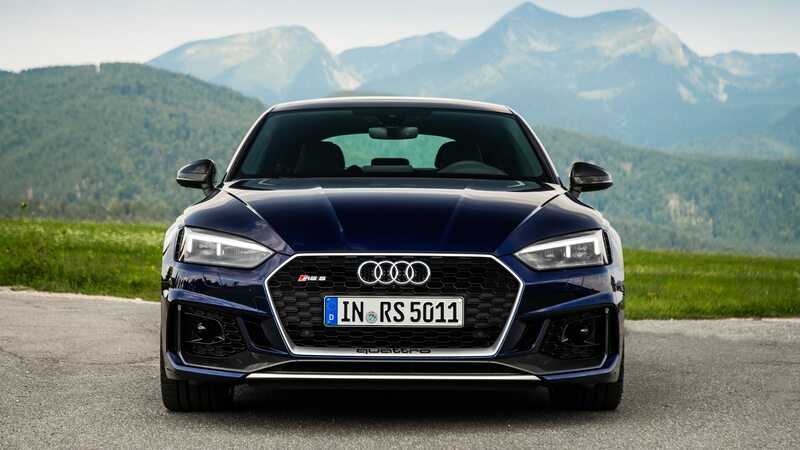 The RS 5 launches off the line briskly and the shortened first gear gets it up to speed so quickly that the 1-2 transition is the only gearchange that allows upshifts at redline when Dynamic and manual shift modes are selected. 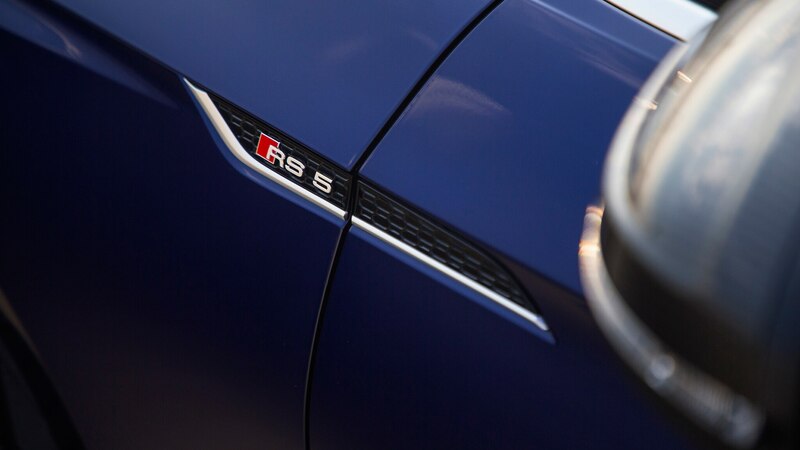 Unless you’re in the mildest Comfort setting, the ZF 8-speed shifts aggressively enough to make its cog swaps feel prominent, creating the opposite experience of a buttery smooth luxury car experience. 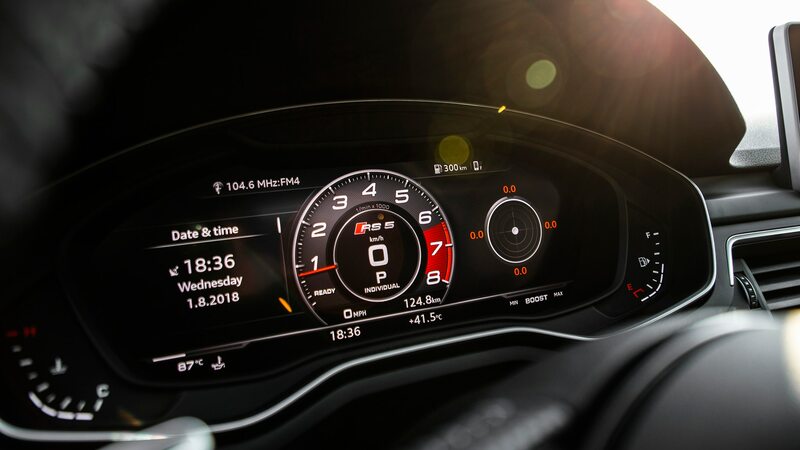 Another piece of evidence supporting the RS 5’s more hands-on, involving focus: while fancier Audis like the A8 and Q8 embrace full glass touchscreen instrumentation, the RS 5 maintains its more conventional switchgear of physical buttons, knobs, and toggles, which are easier and more intuitive to operate at speed than their digital counterparts. 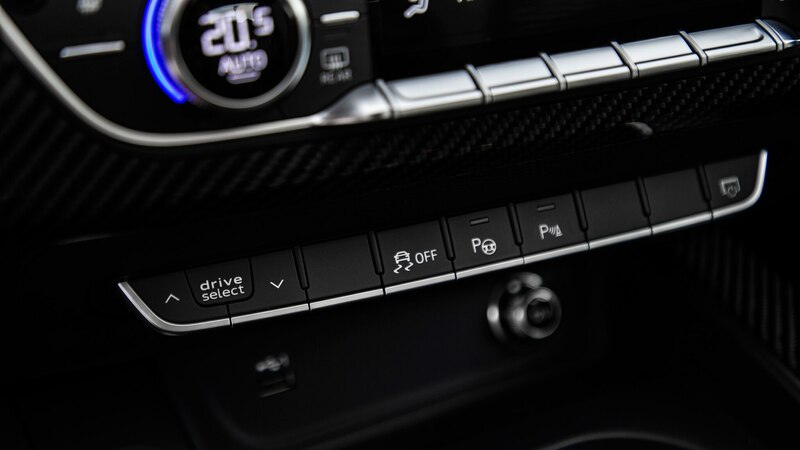 The MMI system controls the bulk of these settings via a fixed 8.3-inch center screen, and it’s fairly easy to navigate via the control wheel that accepts handwritten gestures. 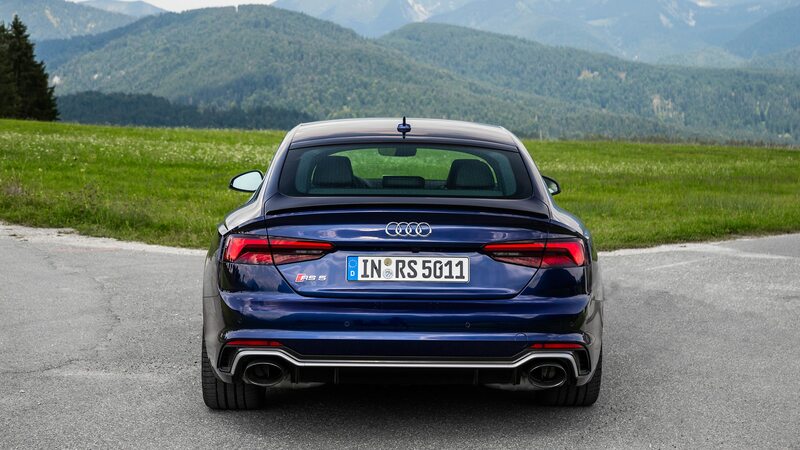 Also welcome are two real, fat exhaust pipes at the tail which buck Audi’s recent trend of cloaking the rear with faux outlets. 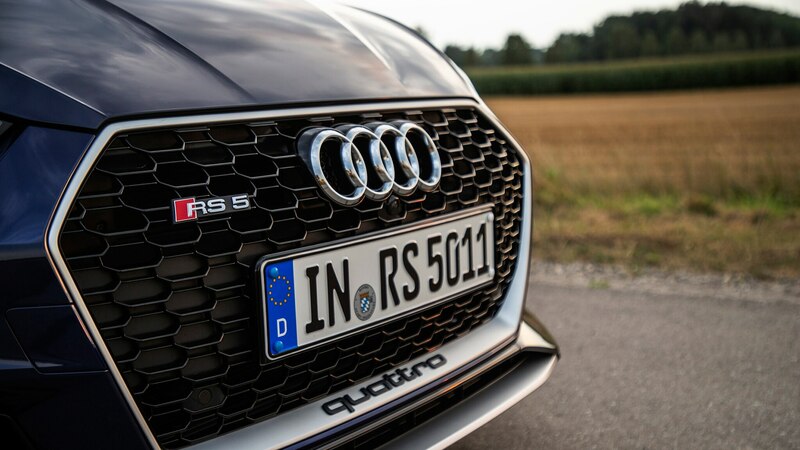 Despite its prevailing sense of Germanic functionality, the RS 5’s cabin proves an easy place to while away the hours as evidenced by our two-day road trip through southern Germany. 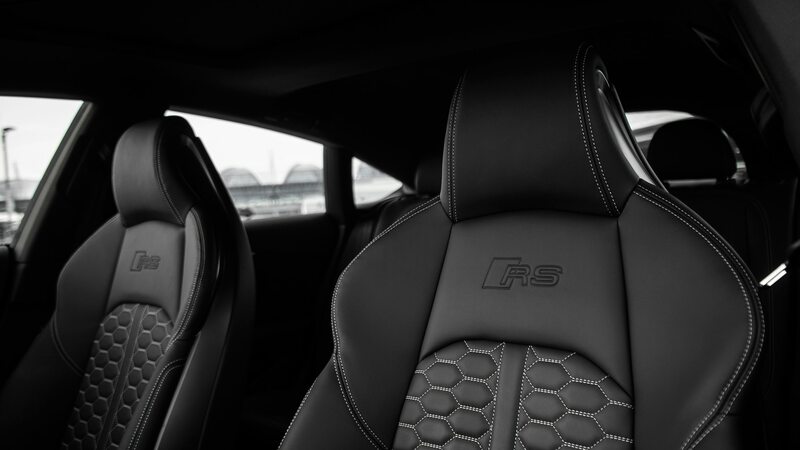 Our tester, equipped with standard massaging seats and optional Nappa leather with honeycomb stitching, was a fatigue-free zone despite an extended driving program that included an unscheduled sojourn into the Czech Republic. 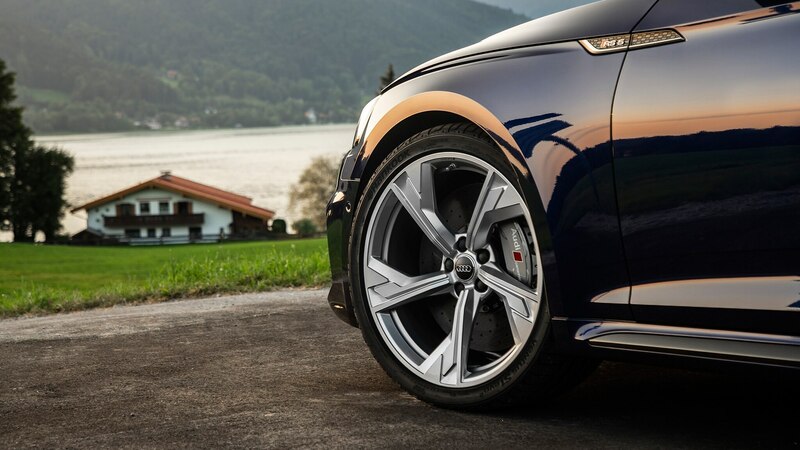 Once the RS 5’s thrusty G-forces grow tiresome there’s plenty of civility to enjoy here: a relatively well insulated cabin, a full-screen Google Earth view of your surroundings via Audi’s Virtual Cockpit display, and a Bang & Olufsen stereo that pumps decent enough sounding tunes over the long haul. 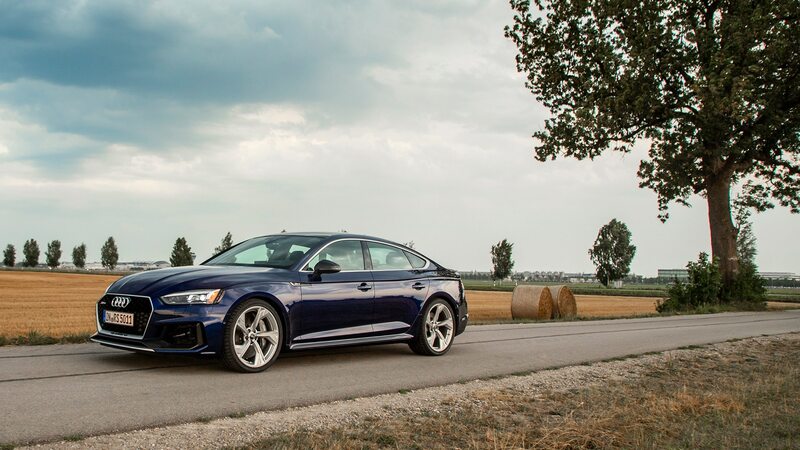 Our drive included a visit to Audi Sport headquarters in Neuburg, where we were the first crew of journalists to tour the facilities and stretch the Sportback’s legs on the facility’s wet tarmac course. The company subtext was clear—this is the marque’s nerve center for its highest performance offerings, where the team’s GT3 race efforts are supported and where motorsport-minded customers can receive high performance driver training. 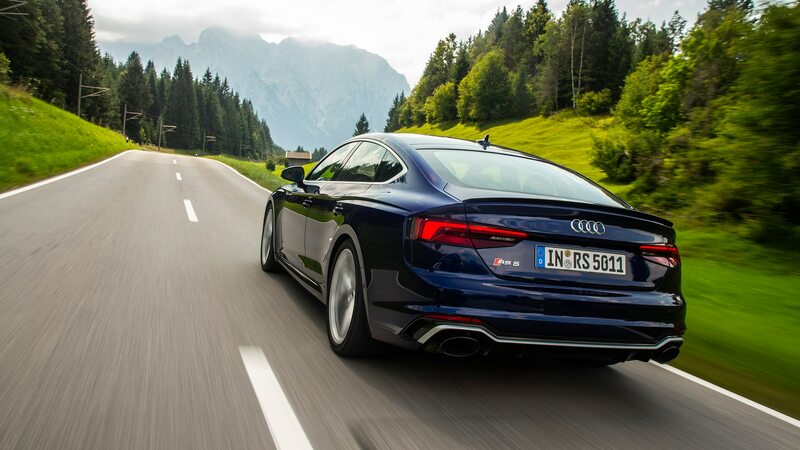 It’s also where some of the RS 5 Sportback’s more domesticated traits emerge. 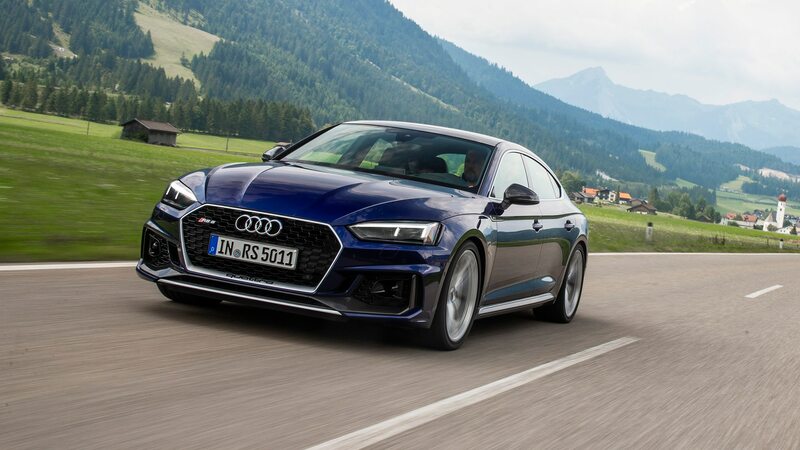 While its chassis felt planted and predictable on the wet course, a handful of laps on the road course in an RS 5 coupe revealed a bit of weightiness to its direction changes. 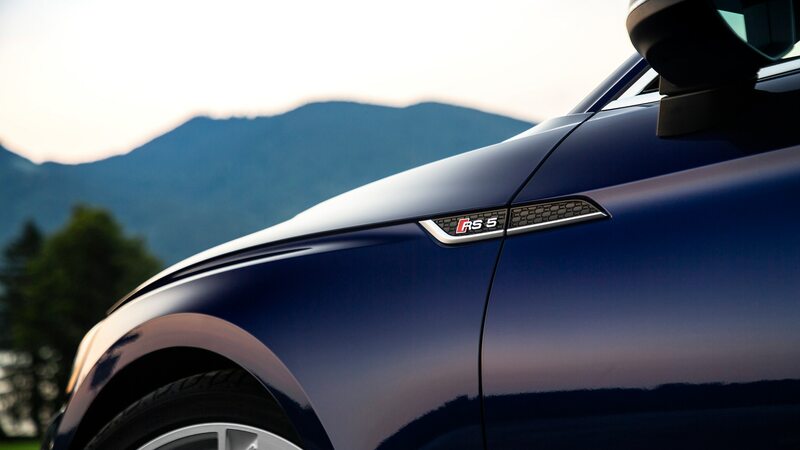 Power comes on strong when summoned, with the sport differential allowing the rear end to step out controllably with heavy throttle. 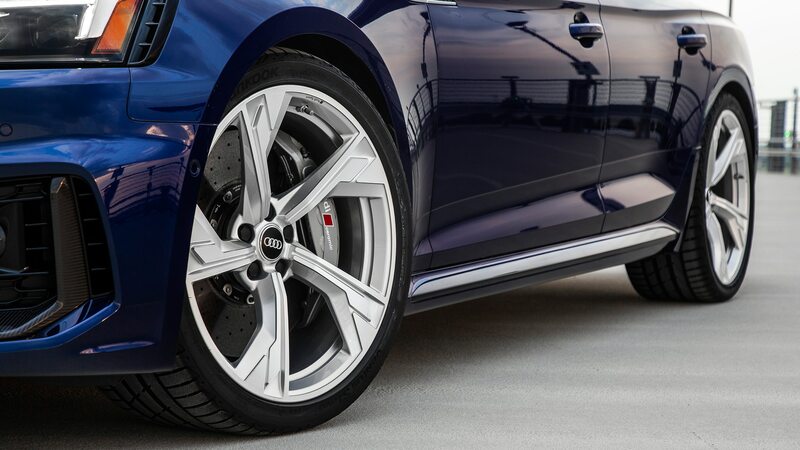 The rear differential and front brakes work to help turn-in, and though stable once settled into the mid-corner, the RS 5 doesn’t feel particularly flickable or remarkably agile. 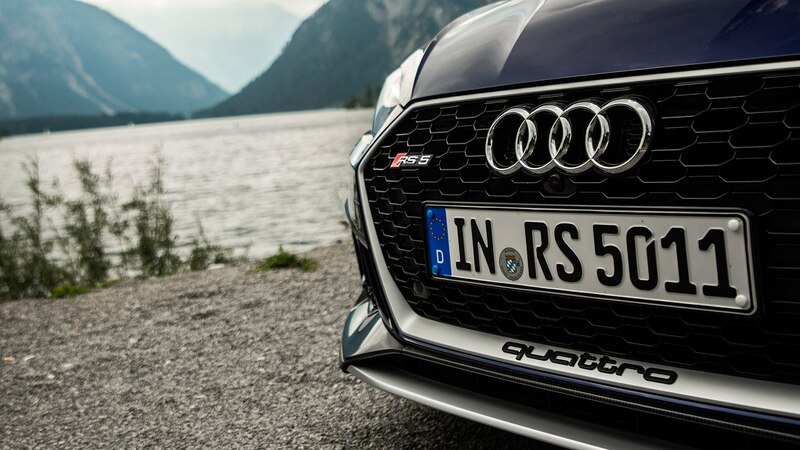 While that dynamic demands a bit of patience on the track, it’s less offensive when negotiating sweepers on a mountain road: the RS 5, despite its relatively un-sticky Hankook Ventus S1 Evo 2s, finds and holds a line easily enough, and offers enough stability and initial understeer to encourage healthy entry speeds. 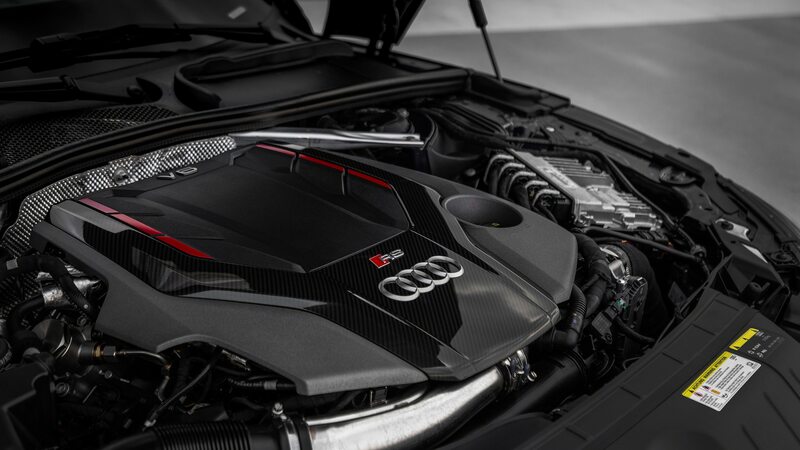 There’s still plenty of high-speed enjoyment to be had, especially since the twin-turbo V-6’s 443 lb-ft of torque peaks between 1,900 and 5,000 rpm, offering ample thrust in concert with the quick-shifting 8-speed. 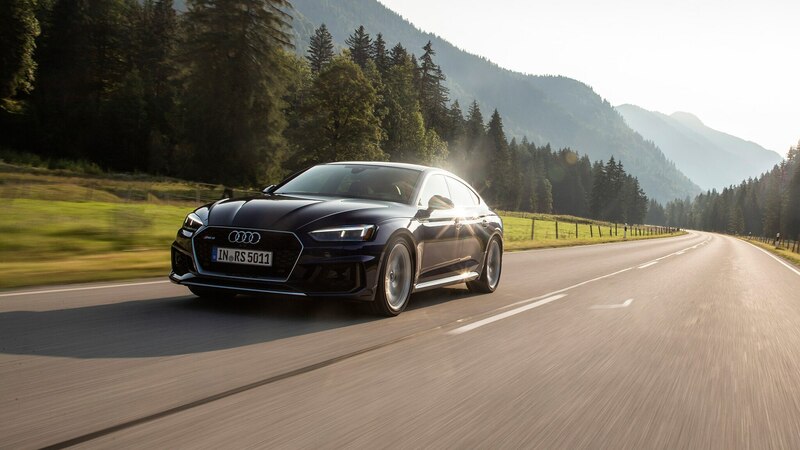 Dipping into that powerband on the autobahn makes it easy to strafe the left lane aggressively, though the steering response starts feeling a tad laggy at speeds above 120 mph; at least its optional carbon ceramic front rotors do a commendable job of quickly scrubbing off velocity. 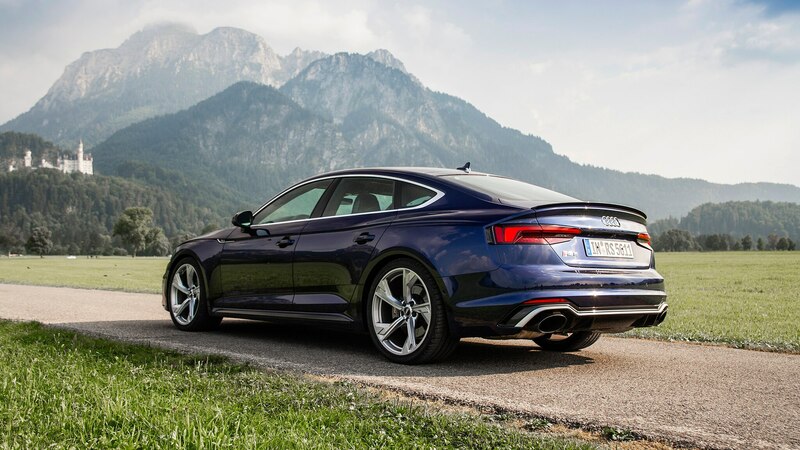 Despite this RS 5 Sportback’s four-door, hatchback layout, there’s something about its solidity and stern sense of speed that endears. It may not be our first choice for an autocross or a top speed run—those duties are best performed with purer, more focused arsenals. 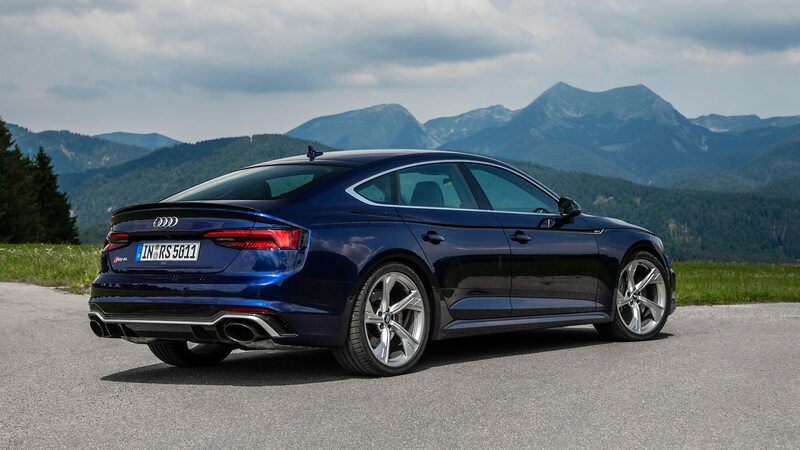 But this is a car that counts silver linings as compelling benefits, among them the fact that its voluminous rear cabin actually invites more exhaust note into the cockpit, and that the rear seating accommodations mean more conspirators can tag along for high-speed escapades. Win/win? Well, not exactly. Those seeking uncompromising performance might find this heavier, longer wheelbase variant not quite scalpel sharp enough for their tastes. But for high-speed shenanigans wrapped in a generous swath of usability, it’s hard to find fault in this wonderfully packaged RS model.